This show stars Steve Miller, Brian Aldridge, CJ Hernandez, Rahn Hortman, John J Murray and Kevin Taylor all competing to make audience suggested subjects hilarious! Mat Freeman will host the show and the crowd will choose the topics for the comics to riff and improvize on. The winner will get a cash prize! 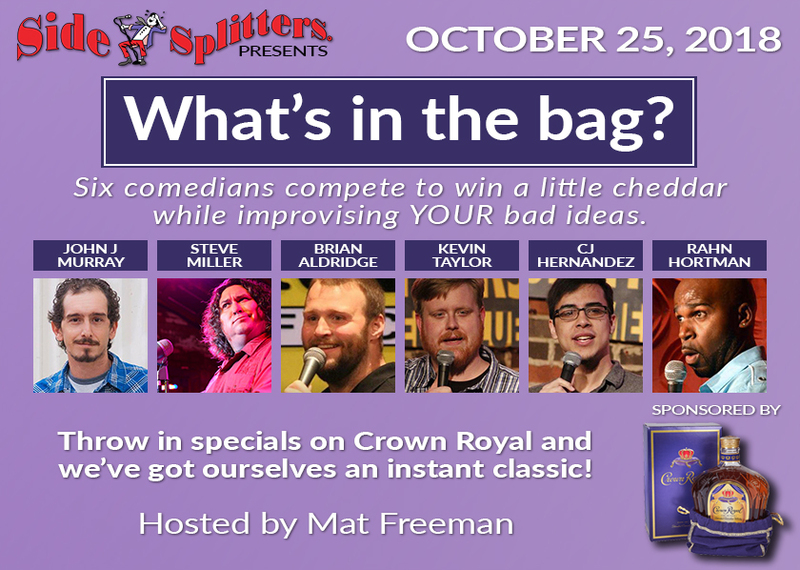 Make sure to come early for the Crown Royal Happy Hour Party starting at 7pm!